Entourage Yearbooks - 5 new photos have been uploaded to the category 'Track and Field'. Kevin Baldizon - 10 new photos have been uploaded to the category 'ASB'. Kevin Baldizon - 28 new photos have been uploaded to the category 'AVID'. Kevin Baldizon - 6 new photos have been uploaded to the category 'Ballet Folklorico'. Kevin Baldizon - 4 new photos have been uploaded to the category 'AVID'. Kevin Baldizon - 7 new photos have been uploaded to the category 'AVID'. Kevin Baldizon - 12 new photos have been uploaded to the category 'MESA'. Kevin Baldizon - 17 new photos have been uploaded to the category 'ASB'. Kevin Baldizon - 2 new photos have been uploaded to the category 'Girls Soccer'. Kevin Baldizon - A new photo has been uploaded to the category 'Boys Soccer'. Entourage Yearbooks - 39 new photos have been uploaded to the category 'Girls Soccer'. Entourage Yearbooks - 91 new photos have been uploaded to the category 'Boys Soccer'. Kevin Baldizon - A new photo has been uploaded to the category '2019 8th Grade Class Pictures'. 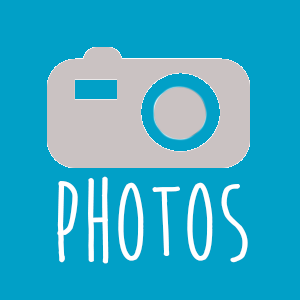 Entourage Yearbooks - 4 new photos have been uploaded to the category '2019 8th Grade Class Pictures'. Kevin Baldizon - 14 new photos have been uploaded to the category 'Boys Volleyball'. Kevin Baldizon - 2 new photos have been uploaded to the category 'Girls Basketball'. Kevin Baldizon - 8 new photos have been uploaded to the category 'Girls Basketball'. Kevin Baldizon - A new photo has been uploaded to the category 'Boys Volleyball'.